Oh hey! Remember that one time that I said I was going to start blogging more because I thought I had my life slightly under control and could handle it?! I've decided having life "under control" is a little out of reach for this mama for the next maybe... 18 years?! If that! But hey, thats okay! 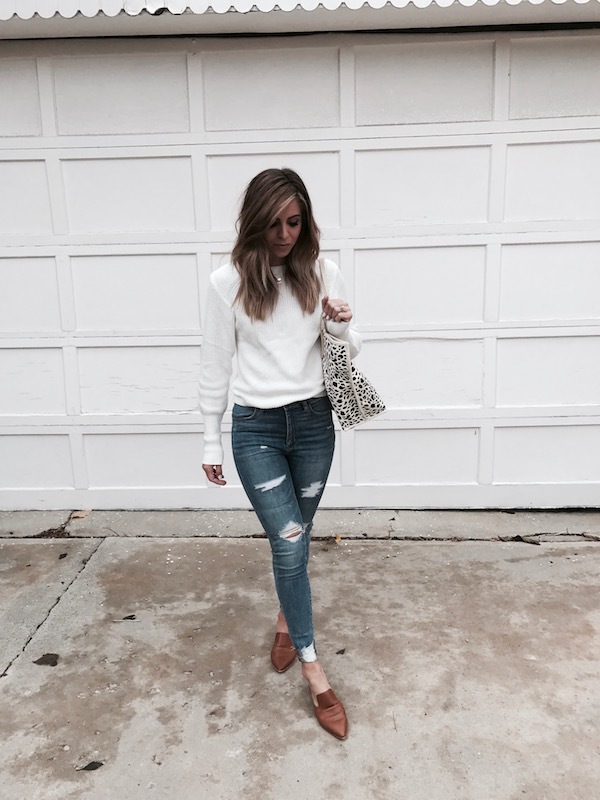 And although I may not be able to blog as much as I'd like, I'd love to still jump on here from time to time and share an outfit post, a life update, or just fun things that I'm loving or doing. As for today, I finally got a chance to share this look that I post a few weeks back. 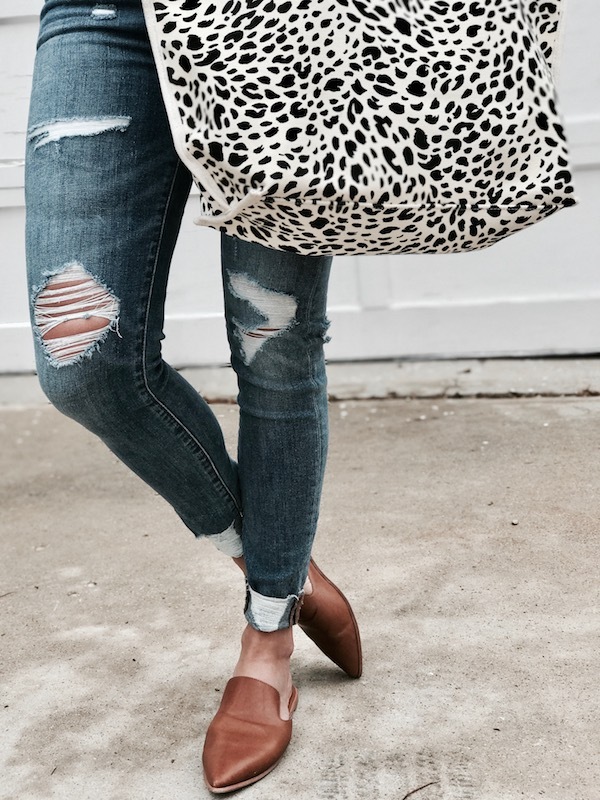 Maybe it's the mom in me, but I'm all about a good pair of "mom jeans" and some cute slip on flats and the combo together is pretty magical for a mom on the go! 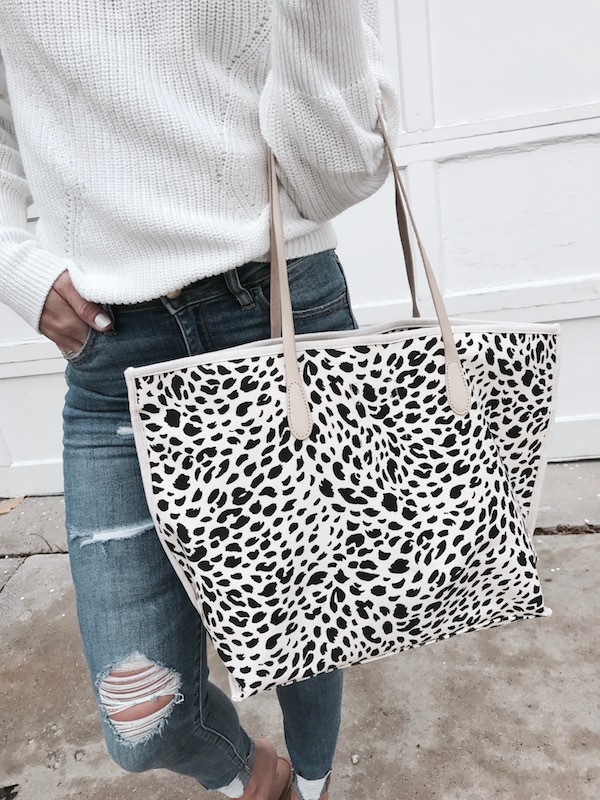 Unfortunately, because I'm a little slow on posting, this fab bag is sold out and these shoes are only available in a few sizes, but I've tried to link a few similar items for both! Also, I'd love to hear about what you'd love to see for future blog posts! Don't be afraid to comment below and let me know what you think!